In the last week, we have renewed the tabs on our little, red truck. We have taken out a small loan to pay our bill with the IRS. I have opened a new account at my bank so I can replace my Google Wallet card with a debit card. I bet we have shown picture IDs ten times, signed document after document saying that the number we wrote down is truly our SS number, produced proof of insurance for almost everything but the dog, and carried home a ream of paper's worth of copies. I had to go to the court house three times before I had the right paper. I am going to start carrying a dossier, if a dossier is a thing you can carry. 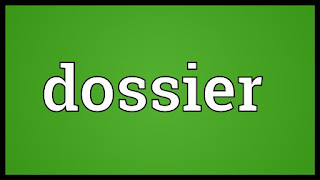 I did a google search for images of dossier and couldn't find anything but this. 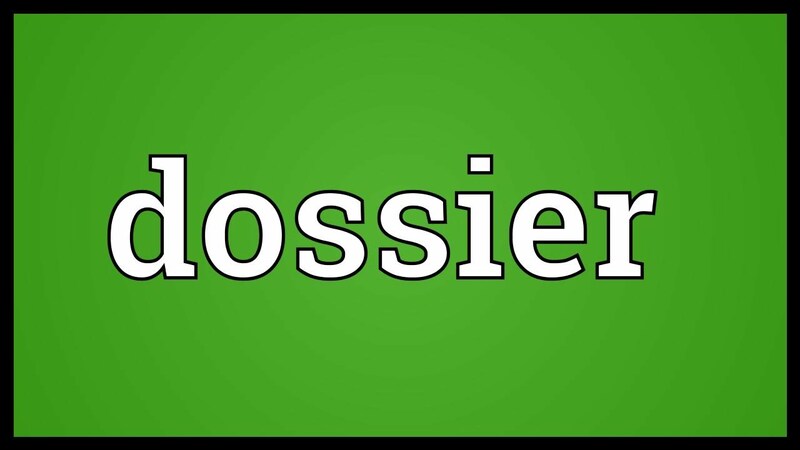 Maybe a dossier is a metaphorical file and not something one carries. At the bank, Tim told us about his trip to New Orleans and how odiferous Canal Street was. Regis put into google the question, "Why does New Orleans stink?" and got this as an answer. This town smells, depending on where you are (or “where y’at,” rather) and what time of year it is, New Orleans might smell like horse manure, cigarettes, urine, dead fish, marijuana, vomit, diesel fumes, fried chicken, Confederate jasmine, old wood, coffee, Angel’s Trumpet flowers, mown grass, mossy trees, and sweet olive. That Google can be something.